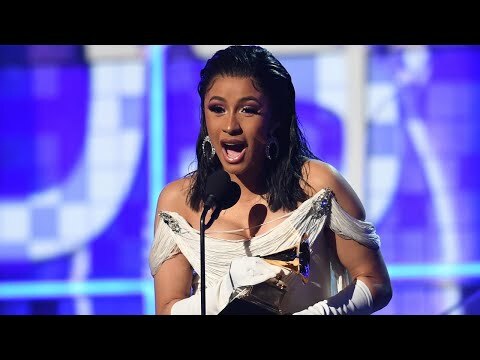 Cardi B made history as the first solo female artist to win the Grammy Award for Best Rap Album. She won for her debut album “Invasion of Privacy,” beating out Nipsey Hussle, Pusha T, Travis Scott and the late Mac Miller. As she accepted the prize, she thanked her daughter, Kulture Kiari. Cardi also specifically thanked Miller, who died after an accidental overdose. InsideEdition.com’s Leigh Scheps has more.